Learn why it’s important that your grass is maintained at its ideal height. No matter what grass you have on your property, every type of grass has an ideal mowing height. Maintaining your lawn at the right height is very important, and is the best way to keep your grass healthy and lush. Continue reading to learn about the ideal height to cut your grass. Have you heard the saying that the shorter you mow your grass, the less often you’ll have to cut it? This is actually a myth, as grass that is too short is more likely to be harmed by weeds, drought, and heat damage. On the other hand, grass that is too long is also damaging to your lawn. If you don’t cut your lawn frequently enough, your long grass may become the perfect habitat for insects, small critters, and snakes. Also, long grass is hard to mow, and your lawn will likely need to be raked or bagged, creating a long process. Rather than going through all that work and grass damage, it’s much easier to mow frequently enough for your grass to maintain its ideal height. The frequency of which you mow your grass depends on your grass’s ideal height, which varies during the growing season. Most lawns don’t need mowing more than once a week, even during peak growth. 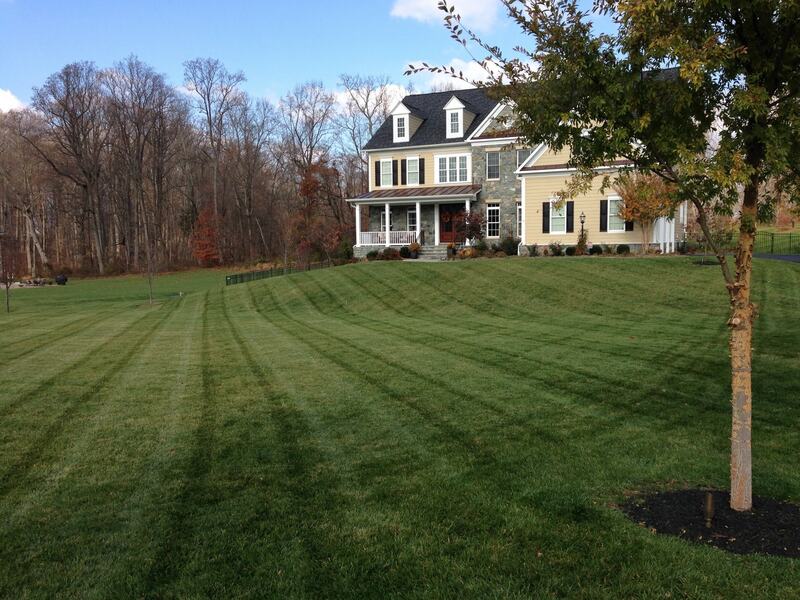 Since Maryland has extreme summers and extreme winters, lawns throughout the state are split between warm season grasses and cool season grasses, while some lawns have a blend. Cool season grasses generally perform better when cut higher, but the specific heights will vary among different types of grass. In general, their ideal height range is about .75 to 4 inches high. Warm season grasses achieve peak growth in the summer, and their ideal heights will vary by region. The ideal heights for these grasses also have a wide range depending on the type of grass, from .5 to 4 inches. For the past ten years, Edwards Lawn and Home has been offering premier residential and services to improve your property all year long. The options are endless from a new patio to a backyard fire pit, let the winners of Angie’s List Super Service Award serve you! If you’re interested in finding out more about our services or getting a quote, you can contact us online or give us a call at 443-341-6539. For more information about our services or DIY tips and tricks follow us on Facebook, Twitter, Google+, LinkedIn, YouTube and Houzz. This entry was posted on Friday, April 6th, 2018 at 4:26 pm. Both comments and pings are currently closed.